Take on winter in style with the Sorel Emelie Chelsea boots. This women’s boot has an upper made of waterproof full grain leather with seam-seal construction ensuring that your feet stay dry in any condition. The back pull tab and elastic side panels help you slip them on and once you’re inside, synthetic and canvas linings help wick away moisture for a comfortable interior. The removable EVA footbed of the Emelia features a microfleece top cover for added warmth and the rubber midsole provides you with stability and shock absorption. 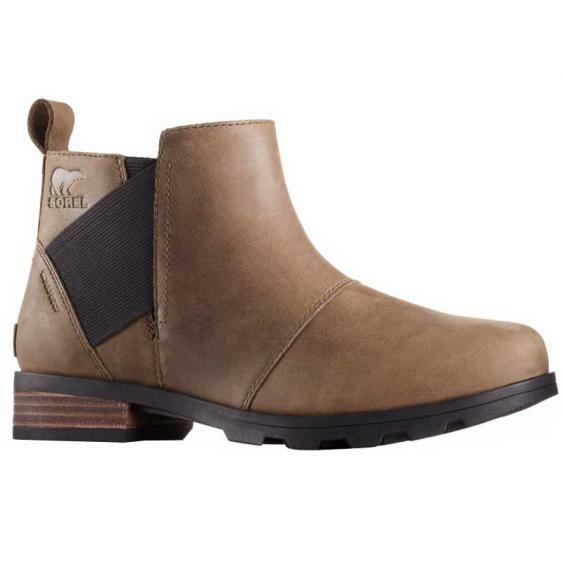 These boots are finished off with a molded rubber outsole and wrapped heel. Experience winter like never before in the Sorel Emelie Chelsea boots.